Why splurge on food when you can stay within your budget at our fresh market? We have specials that will leave your wallet feeling fatter than it ever has after a grocery shopping trip. At Joseph’s Classic Market, we have weekly and weekend specials. Yes, that’s right! You don’t have to pick a specific day to go shopping. Whenever you make your way into our fresh market, you’ll run into a fantastic deal. From beverages to fruits, you’ll find exactly what you’re looking for at a great price. Joseph’s Classic Market has two locations. One in Palm Beach and the other in Boca Raton. What sets us apart from other fresh markets is that you can decide to come visit us in either of our two locations or you can decide to shop online. We also offer catering for special events. Our food is delectable and is perfect for the big or small gathering. We have a myriad of daily specials you can take advantage of when you come to Joseph’s Classic Market. They are updated frequently and you’ll always be able to find something you want for a great price. Below you’ll find a little sneak peak at all of the weekly specials that you can take advantage of when you shop at our fresh market. Keep in mind they are constantly changing, so be sure to check out our weekly specials page to see the latest specials. Wine, wine, and more wine are all offered for a great price at our fresh market. With so many opportunities to pair delicious dishes with wine, how can you turn down a Chardonnay or a Pinot Grigio? Offered for under $15, you can have your choice of Merlot, Cabernet Sauvignon, and Pinot Noir. As a fresh market, we have some of the best pizza around. You can purchase a create your own pizza or shop around for homemade pizza in our fresh market. You can also purchase your own pizza dough for a low price of under $3 with tax as well as pizza sauce and mozzarella to make the perfect pizza at home quickly. You can say goodbye to ordering pizza from a number of restaurants and instead make your own with our ingredients. Living on the coast, you might expect seafood to be cheap, but that’s not always the case. On the other hand, the seafood at our fresh market is offered for a jaw dropping price. You can purchase Live Maine Lobsters, salmon fillet, and flounder fillet, as well as clams. These all time low prices will save you $2 per pound of each of these delicious options. Additionally, you can get your lobster steamed for free while you shop. If you’re a meat eater, then these specials will bring a smile to your face. We have meat that is USDA Choice approved. You can purchase higher black Angus beef, filet mignon, chicken cutlets, pork sausage, and chops. Each of these meats are custom cut and trimmed to your specifications. Additionally, they are natural and handmade specialties. If you want to pair your cheese with your wine or enjoy some appetizers before dinner, then our cheese special prices are where you want to shop. Our cheeses range from fresh mozzarella to burrata con Tartufo. They are all straight from Brooklyn, so you won’t be disappointed when you place an order for cheese that is great for cooking or just eating when you want to wow your guests with something tasty. In Florida, we have access to a myriad of different fruit, but none at these prices. From peaches to nectarines, you’ll be able to purchase fruit that’s priced at a low cost of $3 for a pound. Additionally, we also have cantaloupe for two for $5, so you can create a tasty fruit salad. When it comes to our vegetables, you’ll be able to eat healthy while still saving a few bucks when you purchase cauliflower and broccoli. Our deli is very much one-of-a-kind. We have specials for frame turkey breast and salami. These delicious meats will save you $2 to $3 when you decide to shop at our fresh market. These meats from the deli are perfect for sandwiches and they will keep fresh during the week. Don’t think we forgot to add the desserts! Our desserts are fresh and baked daily. The bakery specials we offer range from pumpkin cheesecake. With pumpkins back in season, we want to make sure you’re getting your fill of fall. We also have chocolate mousse cake that’s fresh and homemade. Each of these baked goods will leave you sated. We also have weekend specials you can take advantage of. 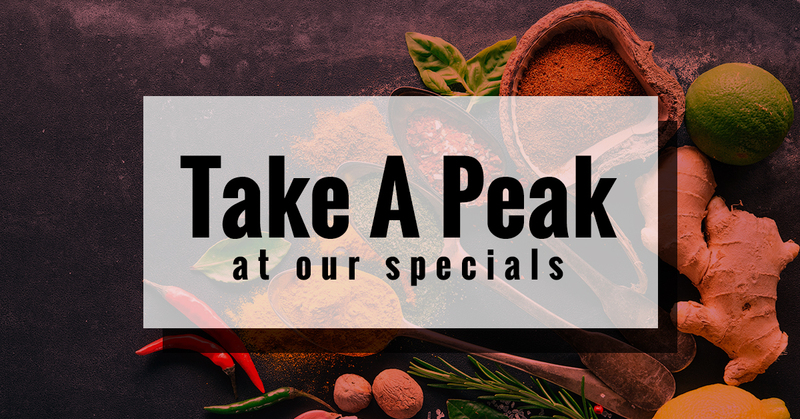 If you don’t have a chance to come visit us during the week to purchase your fresh foods, then you can always come down on the weekend and still get the specials. Our weekend specials are constantly changing, but for this week, they are targeted toward protein and dessert. Make sure to check out our most up to date weekend specials. Our lobster is offered for a great price of $8.99 a pound. Even though we live on the coast, it can be difficult to find seafood that’s affordable and fresh. These Live Maine Lobsters are the perfect dish to serve up for a nice, cool fall evening with friends or family. Even though the summer is ending, take some time to fire up that grill one last time. We have beef brisket burgers and classic burgers that go great on the grill. You can’t find a price this great for hamburgers filled with Sabrett Onions, parsley, and Peter Luger Steak Sauce. When you decide to have your last BBQ of the season, make sure to include our homemade and delectable angel food cake. Spongy, light, and great to pair with fruit and whipped cream, this angel food cake will be the best way to end a meal. Add some blueberries to the angel food cake to really add some texture and flavor. These heart healthy blueberries are perfect to mix into the cake or eat as a dessert by themselves. Now you can purchase two pints for a great price of under $5.